I'm not an expert on the chemical or hormonal contents of our skin or the products we put onto them but I am indeed obsessed with natural / paraben-free skincare products and the way they make my skin feel. I am an avid enthusiast - if it's natural, cruelty-free, and good for your skin I probably want it and have looked into it. 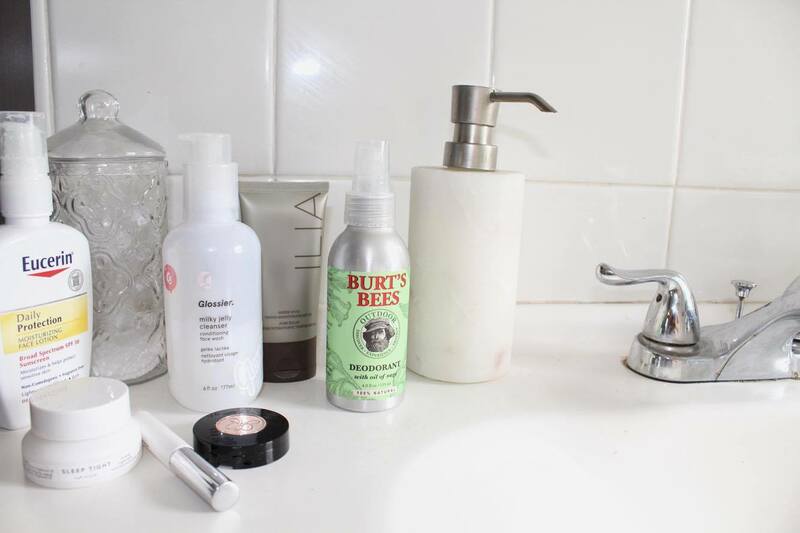 I've also done a lot of reading on the best natural skincare brands and have (thanks also to a nourishing, plant-based diet) managed to settle into a relatively spot-free skin situation. I'm currently trying some new products, which has thrown my skin a bit of a curve ball but more on that below. In any case, it is generally the un-biased customer reviews on product websites that most directly help me select what product to choose over another. Hence, I thought I'd start writing down some of my thoughts on the products I've used and currently use - un-biased and in the right context - as a starting off point for my skincare adventures in the future. 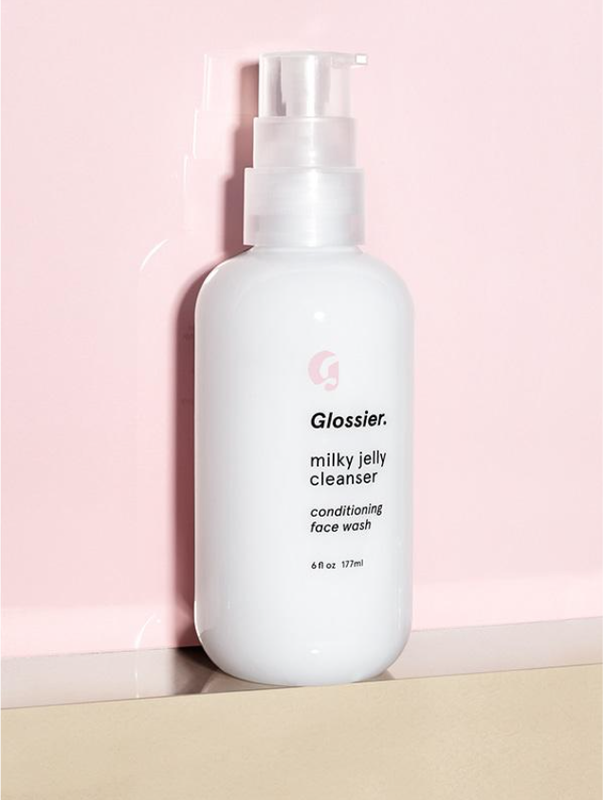 Morning Cleanse: I usually use Glossier's Milky Jelly cleanser in the mornings - it freshens up my skin without being too stripping. I have normal / dry skin, and the Milky Jelly is perfect for cleansing the moisturizer off from the night before, without leaving me irritated or parched. Because it doesn't lather I like to keep this for my morning cleanse, rather than the evening one. 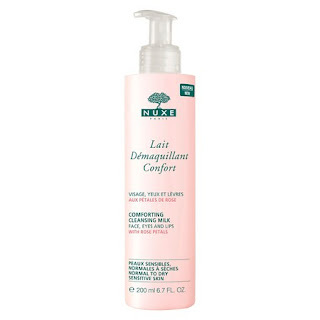 Alternatively, if I'm abroad or haven't ordered any Glossier in a while, I'll use the Nuxe Comforting Cleansing Milk which similarly does not lather and hence, leaves my skin just as happy and hydrated. Both of these cleansers are creamy and smooth, but do a good job of cleansing my skin in the morning nonetheless. Morning Moisture: After cleansing I follow up with some of my old Eucerin SPF 30 Daily Protection Face Lotion. I've had it forever and it honestly just won't run out. I enjoy the light texture of it, although sometimes it pills on my skin if I haven't dried off well enough from cleansing. Evening Cleanse: At night, I like to use a heavier, foaming cleanser (the Milky Jelly is too light for me after a full day out) in the shower, followed by some kind of rich moisturizer. I'm currently using Sunday Riley's Blue Moon cleansing balm instead. It came in a box full of different products I picked up at Sephora. I'm not sure I love it. 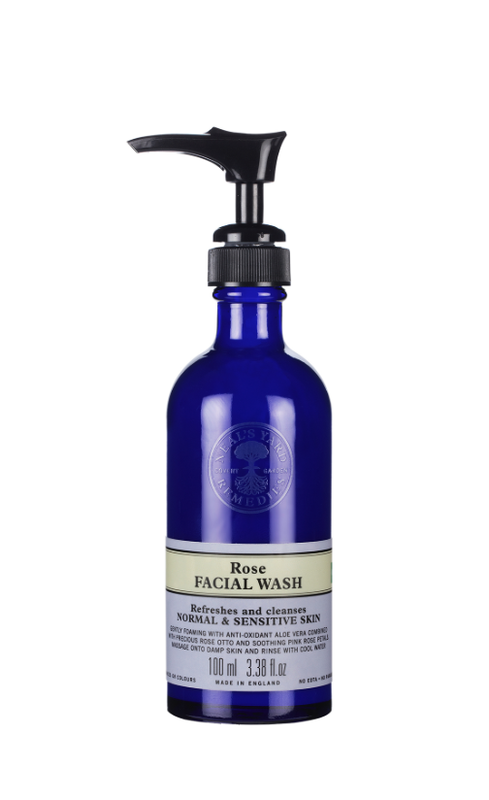 It smells and feels fresh and cleansing but it leaves my face a bit dull and lacking that super-fresh, bright, clean sensation. I haven't been using it long enough to know whether thats the norm with oil-based cleansers or whether my skin just has to get used to it. 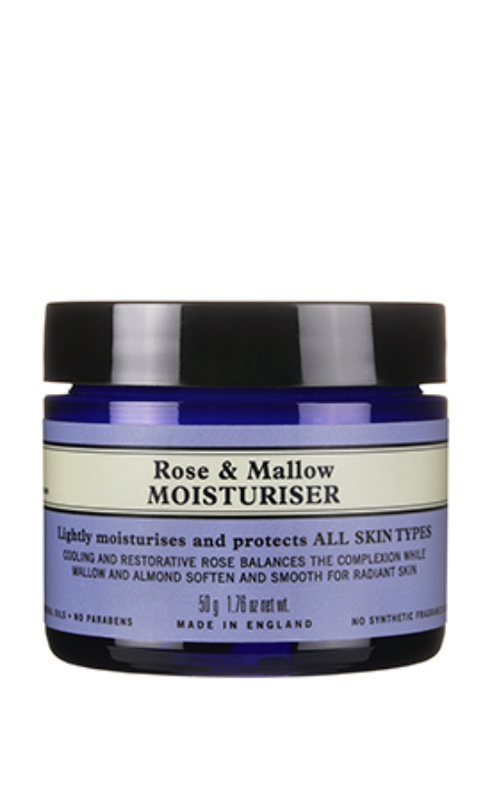 Evening Moisture: After the shower I had been loving the Neil's Yard Remedies Rose & Mallow moisturizer. I had to grow to love it however. The first few times it felt uncomfortably taught and stretched on my face. I though this meant my face would not be moisturized enough - that I would feel it in the morning. However, I noticed quite the opposite. My skin felt great, soft and even-toned. I got used to the pulling sensation, although it definitely wasn't a plus. The little jar ran out about the same time as the Neil's Yard cleanser however, so now I'm using one of many nighttime treatments that came in that Sephora box. For the past week I have been using the Farmacy Sleep Tight Firming Night Balm. I was going to purchase the full size but saw it was included in the box and so I figured I'd try a few other things as well. This moisturizer is part gel part oil in texture. It looks like a green gel in the pot and on your fingers, but it melts onto your face and seeps in like an oil. I've been enjoying that, although pairing it with an oil-based cleanser (the Sunday Riley's balm) might be causing the un-clean sensation. I'm sure if I used a deeper cleanser, my skin would react a lot better to this balm. Prior to picking up this product I tried samples of First Aid Beauty Ultra Repair Hydra-Firm Sleeping Cream and Origins High Potency Night-A-Mins (original, not oil-free). I thought for sure I'd love the Origins moisturizer, as I've heard many great things. I loved the fresh, citrusy scent but it wasn't nearly as moisturizing as my Neil's Yard one and decided against buying it. The First Aid Beauty was just okay, not great enough to dish out the $38 for it. I definitely like the Farmacy night balm better than these two. Are there any natural, paraben-free, cruelty-free night creams and cleansers you've tried an loved? Please let me know!